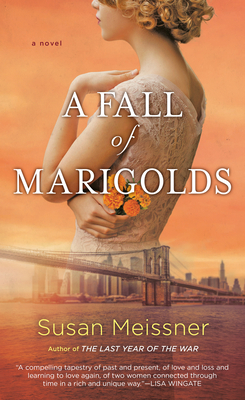 A beautiful scarf connects two women touched by tragedy in this compelling, emotional novel from the author of As Bright as Heaven and The Last Year of the War. September 1911. On Ellis Island in New York Harbor, nurse Clara Wood cannot face returning to Manhattan, where the man she loved fell to his death in the Triangle Shirtwaist Fire. Then, while caring for a fevered immigrant whose own loss mirrors hers, she becomes intrigued by a name embroidered onto the scarf he carries...and finds herself caught in a dilemma that compels her to confront the truth about the assumptions she’s made. What she learns could devastate her—or free her. September 2011. On Manhattan’s Upper West Side, widow Taryn Michaels has convinced herself that she is living fully, working in a charming specialty fabric store and raising her daughter alone. Then a long-lost photograph appears in a national magazine, and she is forced to relive the terrible day her husband died in the collapse of the World Trade Towers...the same day a stranger reached out and saved her. But a chance reconnection and a century-old scarf may open Taryn’s eyes to the larger forces at work in her life. Susan Meissner is a former managing editor of a weekly newspaper and an award-winning columnist. She is the award-winning author of A Fall of Marigolds, Secrets of a Charmed Life, Stars over Sunset Boulevard, A Bridge Across the Ocean, As Bright as Heaven, and The Last Year of the War, among other novels.